As people take a seat to get a glimpse into the future of Hollywood in a movie-like setting we have this animatronic jackal robot talking to the crowd (I am reminded of the animatronic lion used by Katy Perry in her Super Bowl Performance). Snoop is the voice. He introduces himself as “Canibus 420”. Of course this is a tongue-in-cheek reference to cannabis which is the recreational drug marijuana (a reference to 420 being the same thing). I don’t really care about that. 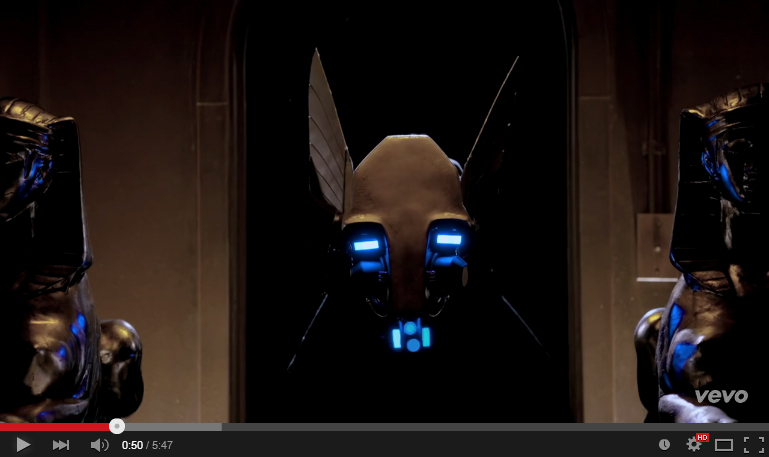 I care much more about Canubis being a sly reference to Anubis which is the Egyptian grim reaper god of the dead. Here we have a glimpse into the future of Hollywood. Who knew? 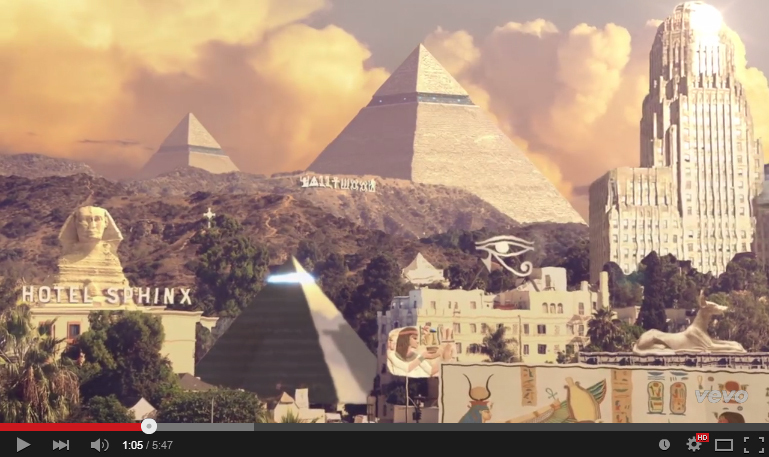 In the “future” (or likely already the present) Hollywood has been lead back into Egypt. You will clearly notice the pyramids, the Eye of Horus which is discussed at length in my Dark Horse breakdown, the Hotel Sphinx, a mural of Egyptian goddess Isis that gets cut off by the bottom of the screen, and a golden idol of Anubis (in jackal form) near the bottom right. 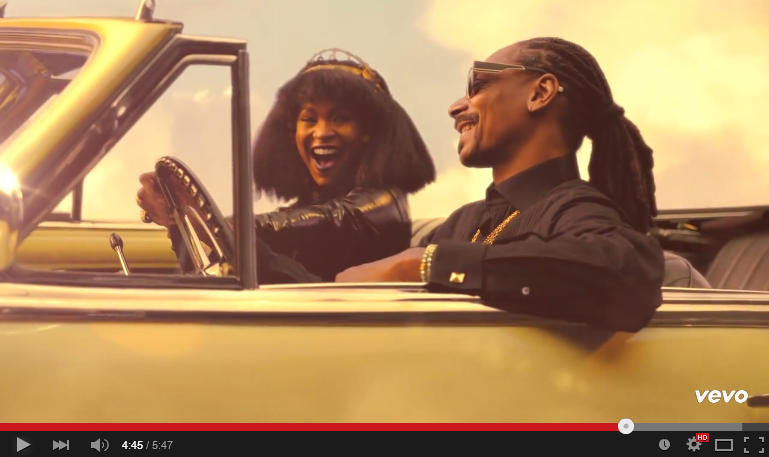 Snoop has been making music videos for 20 years. 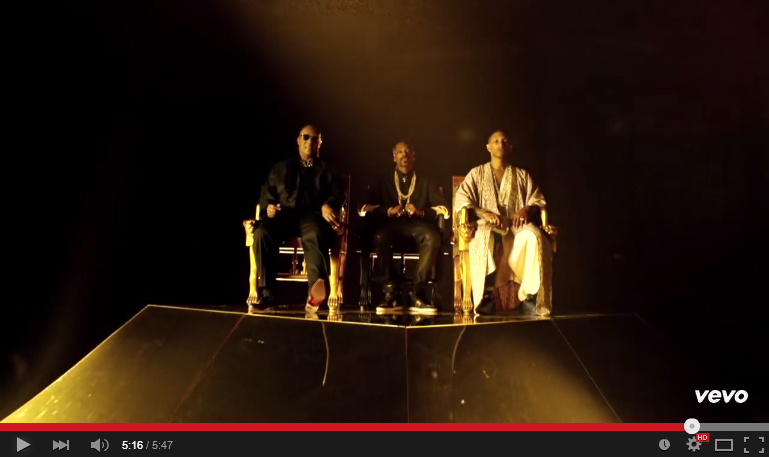 So the question is why is Snoop promoting Egyptian culture in year 20? The answer is kind of deep but I will explain. In short it is the renaissance of the Thelema religion. I bring this up time and time again because it is being jammed down our throats every day.Now before we go on I must mention the Black Pharaohs and the ancient Kushite Kingdom. For example the Black Pharaoh Piye overthrew Egypt for a significant time in the 700 BC era. Piye was a powerful ancient Kushite Nubian King. He was a Black Pharaoh. 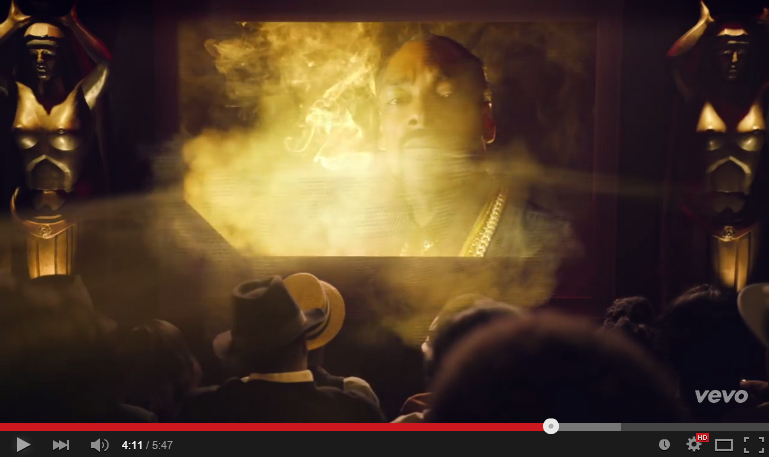 Is Snoop simply paying homage to his ancestors? Maybe – but here is my point. The Kushites were pagan. They worshiped pagan gods. They even had a Cult of Anubis. Anubis is not Christ. Its not Christian and it’s not Christ. That is my point. The ancient Kushite religious beliefs jive with the modern Thelema religious beliefs. It is that simple. Exodus 20:1-3 (KJV) aka the First Commandment still very much applies (mentioned a few paragraphs ago). Moving on past the Kushites. Things have changed for the worst after December 21st 2012. That is known in the occult world as the end of the Age of Pisces / Aeon of Osiris and the beginning of the Age of Aquarius / Aeon of Horus. Remember all the fuss about December 21st 2012 being the end of the world because the Mayan calendar quits counting after that day? Well the world didn’t end but the occult world kicked it into high gear. Basically Thelemites and many other sister occult religions look to Christ as a product of the Aeon of Osiris aka the dying god. That aeon has passed. It is a new aeon now. Horus is to be ushered in. Christ is to be ushered out. Not just Christ but his teachings. These are the beliefs of the Thelemites – not me. I am explaining their mentality. That is the reason you are seeing a rise in Egyptian propaganda especially after 2012. Snoop has been making music videos since the early 1990’s. I will double check but I cannot remember a Snoop Dogg music video with heavy Egyptian propaganda until California Roll. Now Snoop’s Murder Was The Case music video from 1994 is very interesting but not for Egyptian culture reasons. It deserves it’s own post but not today. Back to the task at hand. Concerning the Thelema. The Thelema religion is an occult religion founded by Aleister Crowley in the early 1900s. I would describe Thelema as a combination of Egyptian / Kabbalah / Alchemy / Black Magick / Freemasonry / Astrology / Pagan concepts. It is all of these things. Pretty much anything but Christianity. 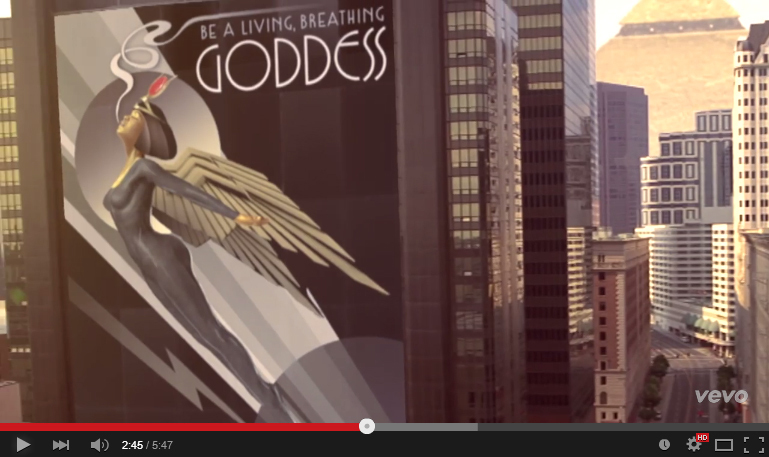 If you are seeing praise of Egyptian gods in a music video you are likely seeing Thelema propaganda. That is a great indicator. 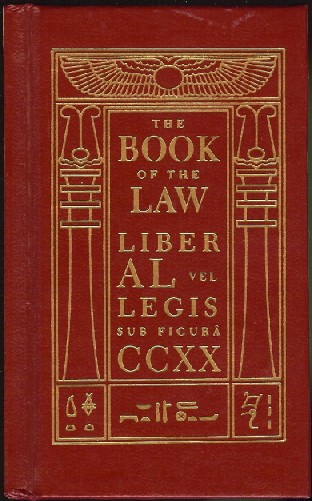 Consider one of the essential books of the Thelema is The Book of Thoth where Thoth is an Egyptian god of magick. The Book of Thoth is where we get the Thoth Tarot Cards from. Crowley helped author those cards. Now you know. 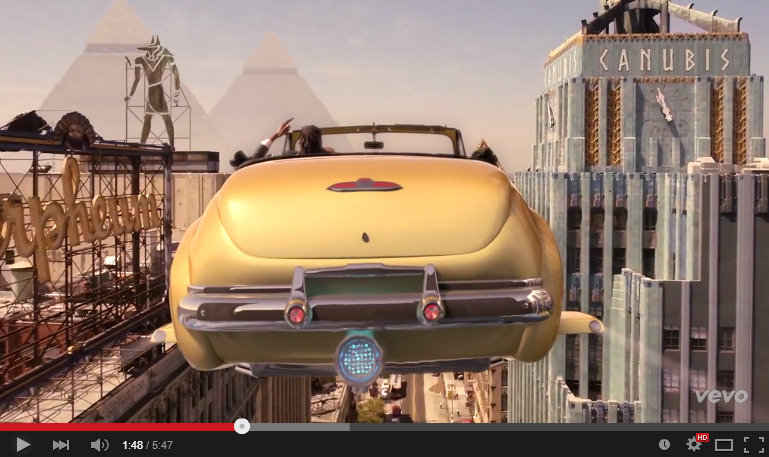 I dig the flying car Snoop. 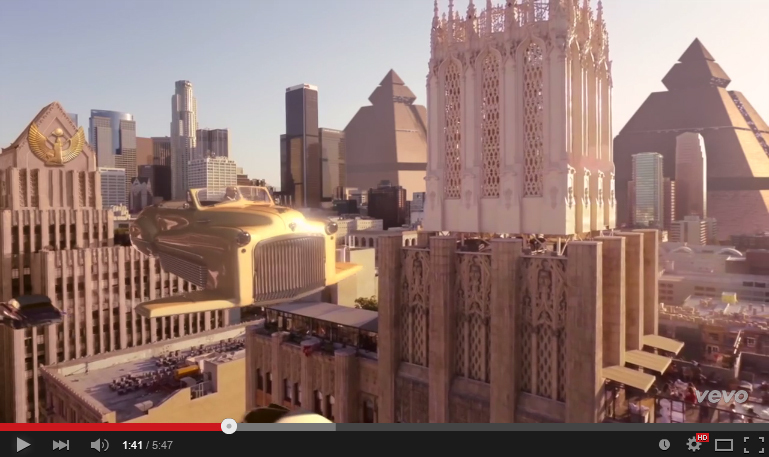 I don’t dig the golden idol of Isis on the building in the top left of the scene. We are still taking a tour of the new Hollywood. Clear as day we have a large image of Anubis the Egyptian god of the dead in the top left. He is depicted here with a jackal head and a human body. On the opposite side of the street we clearly see “Canubis” in writing on the building. 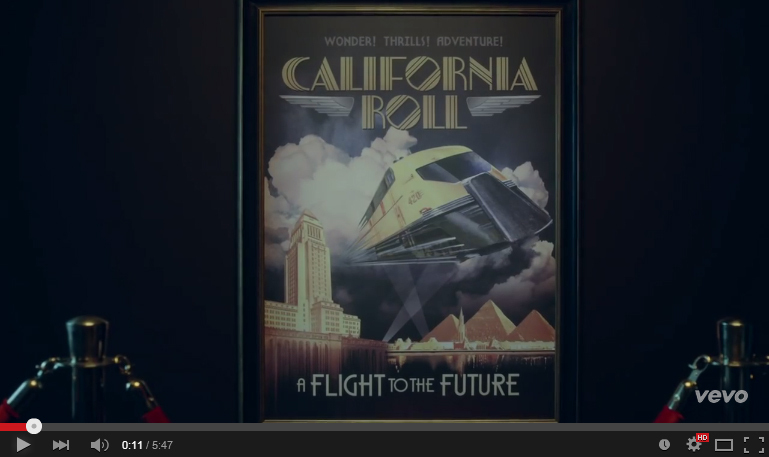 This is one of the most significant screens in the music video California roll. 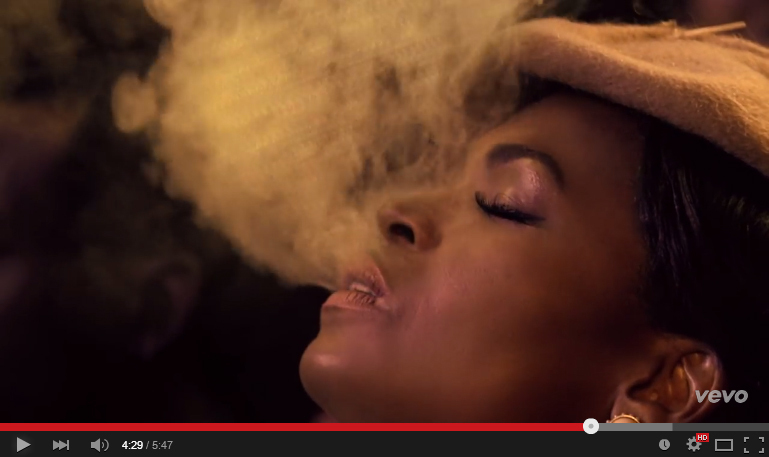 The woman that Snoop is trying to initiate with an occult ritual is depicted “breathing in the spirit of Anubis”. 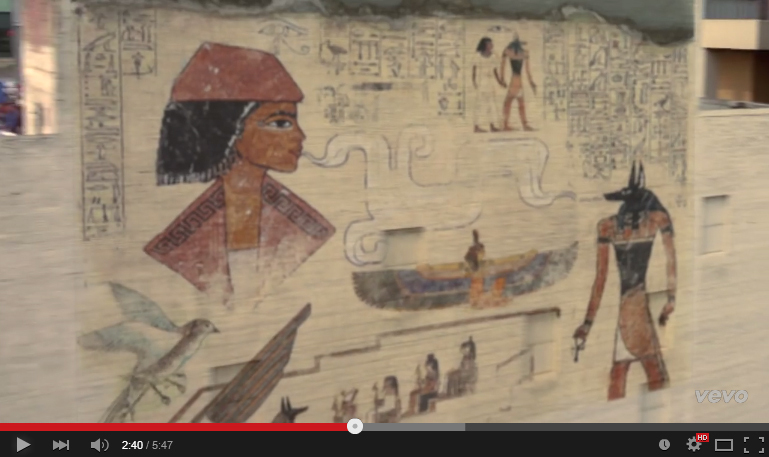 It is sketched out as pseudo-hieroglyphics right here in this screenshot above for all to see. The lady is to inhale in the spirit of Anubis sent forth. Breathe in the spirit of Anubis. Become Isis incarnate. Last time I checked the Egyptian god of the dead Anubis isn’t the Holy Spirit. Far from it. Selling your soul to the devil is sooo Aeon of Osiris. Breathing in Egyptian gods is the new spin on selling your soul. You can read the bible quotes. I need say nothing more about it. The woman breathing in the spirit of Anubis sent forth by Snoop Dogg in accordance with the heiroglyphic-style plan laid out earlier in the screenshots above. Isn’t life great when you breathe in the spirit of Anubis and become Isis incarnate? You get to ride in the caddy in the sky. Until the caddy in the sky runs out of gas and crashes back to earth. They don’t get to that part. There is always a catch in selling your soul. There is always a tremendous price to pay. Snoop obviously doesn’t have a problem with that – for now. So take notice to cornerstone vs capstone dichotomy. It has occult meaning that stands in opposition to Christ. Hopefully now you are able to conclude some similarities between Katy Perry – Dark Horse and Snoop Dogg – California Roll. I look forward to breaking down Snoop Dogg – Murder Is The Case. There is much to learn when we re-visit that classic from 1994. It sure does explain a lot.